The world’s salmon farmers produce 2.5 million tones of salmon annually. 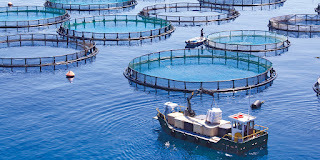 Salmon farming is a form of aquaculture, which means growing animals or plants in the water. Salmon farmers raise salmon from little eggs to fully grown fish. 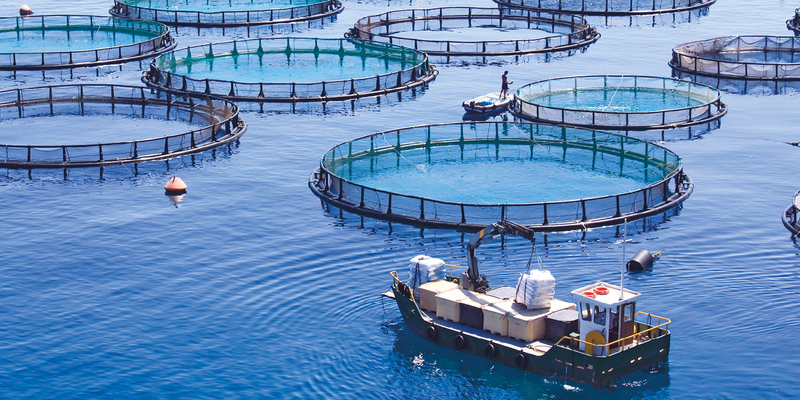 The salmon farming industry uses coastal, temperate marine waters to culture salmon in flow-through net pens. A farm-raised salmon is grown in a way that closely mirrors its natural lifecycle. The salmon eggs hatch in land-based, freshwater hatcheries where the tiny salmon begin to feed from a yolk-sac. Not all salmon eggs are created equal: the eggs used in the hatchery come from specially selected adult fish. 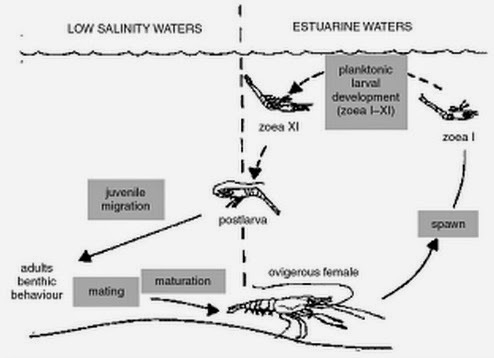 After the yolk sac is consumed, they are raised in freshwater tanks. Farmed salmon live for one year in a hatchery on land and then are moved by boat to the farms in the ocean. They continue to be fed and cared for at ocean farms for about two years. When they reach market size of ten to twelve pounds, salmon are processed and packaged –fresh, on ice –and shipped to market within 48 hours. 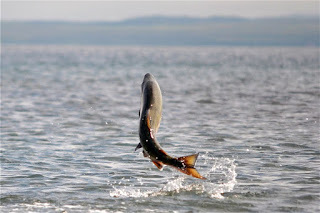 Some salmon are set aside to provide a source of eggs for the next generation. Salmon farmers have developed a modern and responsible industry that meets international and national regulations and industry codes of practice. Key elements of modern salmon farming include area management, integrated fish health management, and environmental monitoring programs.